How does the Dark Web Impact Business? in today’s business world. When it comes to cybersecurity, the most effective way to protect your assets is through user education. Always keep security best practices top of mind and inform your users frequently about how to to identify threats and reduce risks. At IT Solutions, we have advanced, enterprise-level security tools available to monitor and detect real-time if your company data has been compromised. By keeping tabs on the most secretive corners of the Internet, we can uncover compromised company information, and notify you immediately when these critical assets are seized, before they are used for identity theft, data breaches or other crimes. ​As your trusted technology partner and advisor, our goal is to keep your most valuable business assets safe. If you are interested in more information about Dark Web monitoring services for your business, fill out the contact form below or give us a call at 215.886.7166. Want to learn about IT Solutions managed security offerings? Check out this 2-minute video about ITSecure and ITSecure+. 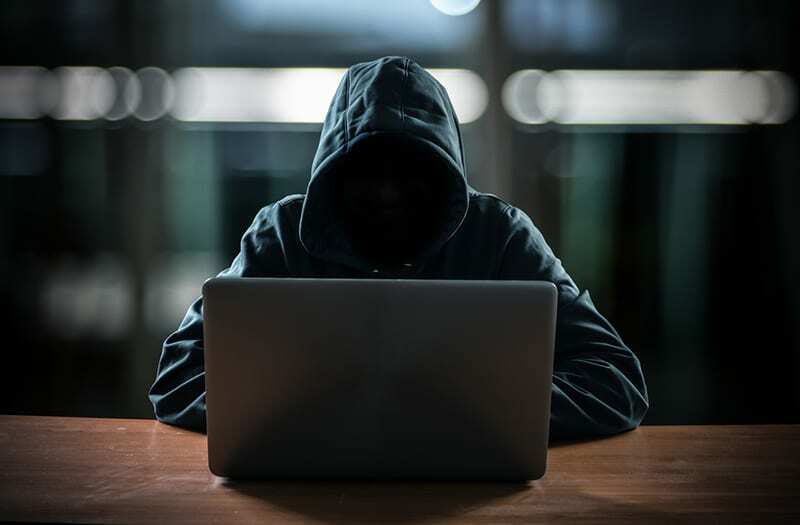 Beneath the surface of the Internet, there’s a mysterious world known as the Dark Web that has the potential to wreak havoc on your personal life and business. The Internet that most of us know and use daily is often referred to as the “surface web”. It’s the network of websites that are indexed and monitored by search engines, and available to the general public. The Dark Web is a segment of the Deep Web, a hidden network that cannot be accessed or found on normal search engines and browsers. Access to it requires special software called “Tor,” which allows users to hide their identity and thus online activity behind multiple layers of encryption. Due to its anonymity, the Dark Web is where a lot of online criminal activity takes place. It’s where you can find sites that sell illegal consumer data and other black market goods — mail-order drugs and weapons to name a few. It’s also where some organized terrorist and human trafficking groups congregate. This sophisticated marketplace offers all the tools (and information) needed to commit a cybercrime. It’s where malware kits can be purchased, where stolen accounts and identities can be monetized, and criminal activity washed clean. While there are some legitimate purposes to the Dark Web — journalists use it for communicating with sources, for example — it is estimated that over 50% of all sites on the Dark Web are used for criminal activities, including the disclosure and sale of digital credentials. Stolen information such as bank accounts, health records, driver’s licenses, Social Security numbers and birth certificates can be purchased here. Criminals can even buy a “wallet” with multiple forms of identification, handing over everything needed to create a new identity. As if this is not scary enough, the Dark Web is quite easy to gain access to and navigate. It’s open source, free, and available on most operating systems. Although surfing the Dark Web is not illegal, security experts warn that you should stay off of it. This is because cybercriminals are busy testing their next attack before launching against the public. There’s some very advanced malware circulating on the Dark Web too, so don’t let curiosity kill the cat. Most stolen business data will end up on the Dark Web. Criminals are eager to buy and sell it to conduct further criminal activity, such as data breaches of sensitive corporate information, publishing business secrets, as well as identity theft of individual employees and customers. Far too often users have the same password for multiple services, such as network logon, social media, online stores and other services, exponentially increasing the potential damage from a single compromised username and password. And unfortunately, most companies that have had their data sold on the Dark Web don’t know it until they have been informed by a third party — but by then, it’s too late. That’s why it is critical to take proactive steps to safeguard your digital assets in today’s business world. When it comes to cybersecurity, the most effective way to protect your assets is through user education. Always keep security best practices top of mind and inform your users frequently about how to to identify threats and reduce risks.